We have Ambassadors all over the world and from all walks of life. 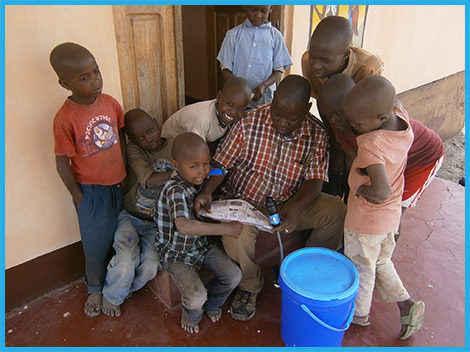 An Ambassador utilizes his pre-established relationship to deliver clean drinking water to communities in need. Any person or organization can become an Ambassador. Transportation costs represent a large expenditure when serving communities in need. Clean Water Ambassadors Foundation strives to eliminate these costs by donating our water filters to qualified organizations or individuals with pre-established relationships. We create a “win-win” situation by “piggy-backing” our light weight water filters with people who are already traveling abroad. We also inform our Ambassadors how to teach community leaders how to properly use and care for the filters to ensure maximum benefit. In return, Clean Water Ambassadors Foundation requires our Ambassadors to furnish their stories, still or video images and contact information of the communities served. By assembling a database of Ambassadors and the communities they serve, Clean Water Ambassadors Foundation hopes to create a network that will continue to deliver clean drinking water until a permanent solution can be reached. Is your organization traveling to a developing nation? Are you planning a vacation but would also like to help the people you meet? Become a Clean Water Ambassador. On your travels as an Ambassador you can deliver millions of gallons of clean drinking water to people in need. You can also contact an Ambassador on the Ambassador Portal and deliver filters to their pre-established communities ensuring that the filters get distributed properly. Learn how to become a Clean Water Ambassador and see Filter Assembly Instructions.